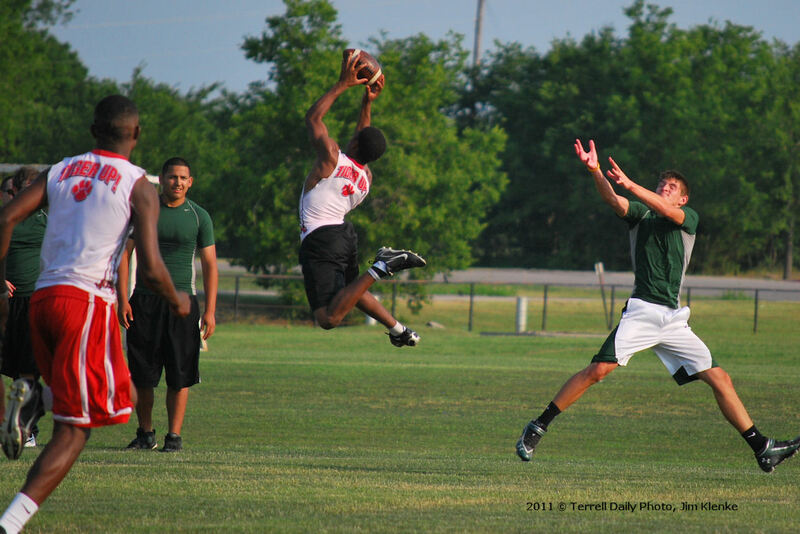 Play started last night in the Kaufman 7 on 7 passing league. Terrell has two teams entered. One team played Scurry-Rosser and won that contest. The other team played Mabank and lost. Tiger Matavious Morris has been nominated for the Semper Fidelis All-American Bowl.